City-building games can be a dry lot. Constant worries over zoning minutiae and travel distances can turn the fun of building a city into a micro-management nightmare. While there are gamers for whom poring over every detail is the fun part, they are a niche market - a somewhat under served niche market in this age of first-person shooter epics and real-time strategy extravaganzas. 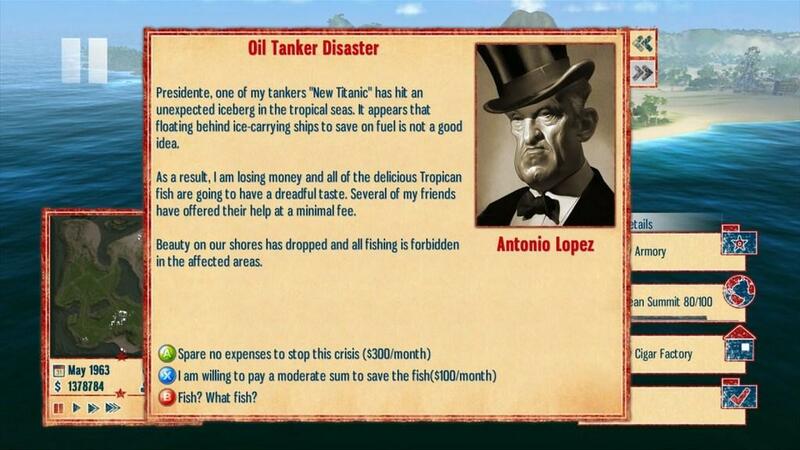 It is a good thing the Tropico franchise is here to inject some life (and humor and color) into the genre. 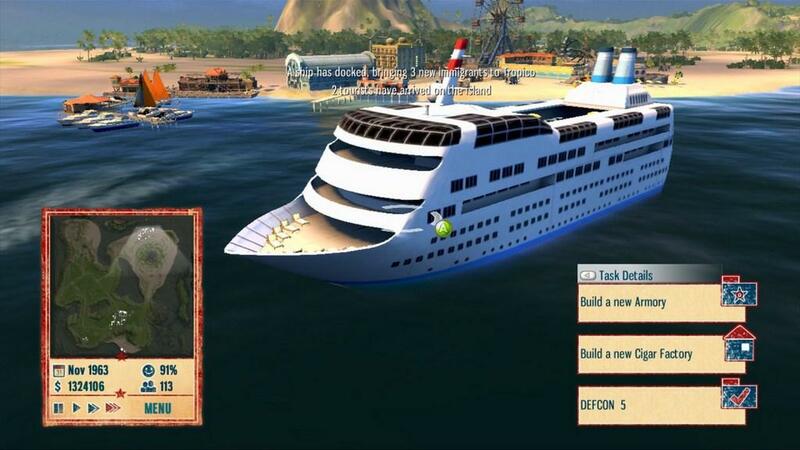 You can say a lot of things about Tropico, but you can't say it isn't an attractively presented, humorous, easy-to-play game about being the dictator of your own Caribbean island. The campaign is built around the idea of the gamer as a banana republic-style dictator who moves from island to island solving problems on each and building them into stable, prosperous little city states. Each scenario opens up on a new island with a new problem: perhaps it has no natural resources, or the natives are unhappy, or there are monetary troubles. Your first job is to to just stabilize the island. 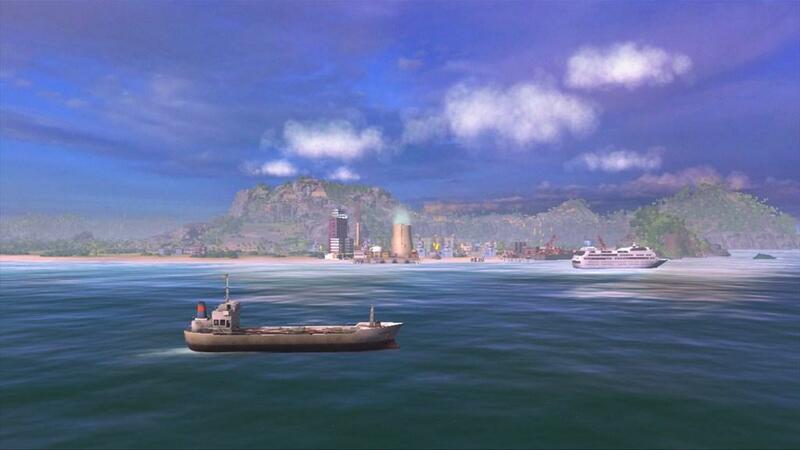 First off, find something to export – a mine, farms or ranches all can provide resources that can make you a few bucks when shipped from your docks. As an island, your primary source of income will be exports (with some tourism thrown in) so you'll constantly be at the mercy of international forces. A drop in the banana market can sink a fledgling economy. After the money starts flowing in your people will get restless about some quality-of-life issues. Each citizen has a list of needs (religion, housing, entertainment, liberty, etc.) and a ranking of how important each is. The engine keeps track of who wants what and presents a summary of the overall mood on the island broken down by need so you will always have a good idea of what is on your subjects' minds. Keep them happy or there will be revolts, or you could even lose an election. The first problems the inhabitants have concern religion, entertainment and health care. As dictator/president you can address problems by building the appropriate buildings. In this case, building a church, a restaurant and a clinic will keep everybody happy. Much of your career as president will in fact be spent doing just this – identifying needs, finding some money, and creating a building to satisfy that need. At this point you have some money rolling in and a reasonably stable political scene. Now the side-projects start rolling in. Each island has a primary goal that you will be required to meet in order to win the scenario (have X citizens or Y dollars in the bank or whatever) but there are also an abundant number of side-quests to take part in. 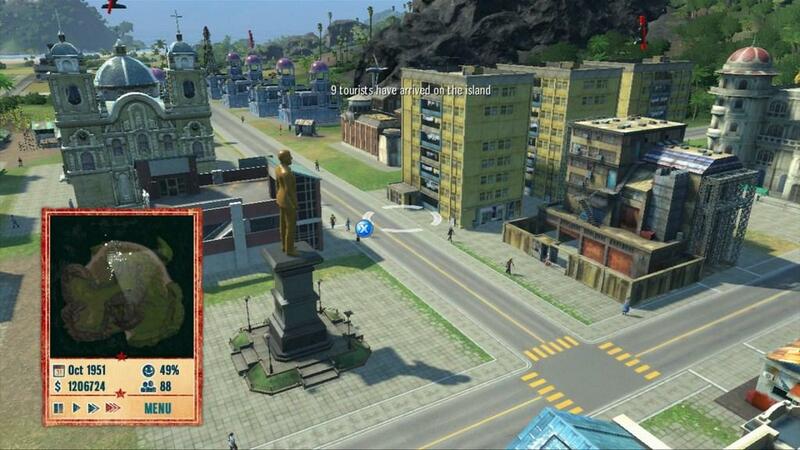 Little icons will pop up next to various buildings offering incentives for particular actions. A popular variant is “A foreign country wants more llama wool. Export a bunch and receive a bonus.” These goals are often things you would like to do anyway and getting a bonus for them can pull you out of some tight spots. Other side-quests involve pacifying various factions in your society. Each citizen belongs to a particular political faction: environmentalists, capitalists, communists, militarists, or some others. Each faction wants different things and every choice you make can potentially help (or harm) your standing with several. Become unpopular enough with a few factions and you are looking at revolts again. 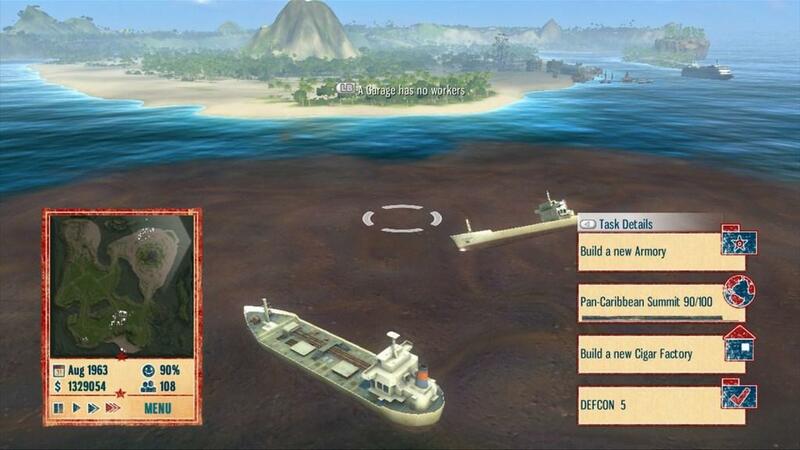 So that is the basic setup of Tropico 4 – you need to take an island with problems from destitution to prosperity while balancing your budget, meeting your citizens' needs, and playing the political factions off against each other. All while trying to keep powerful foreign countries off your back and stashing a little away for yourself in your Swiss bank account. Fun! 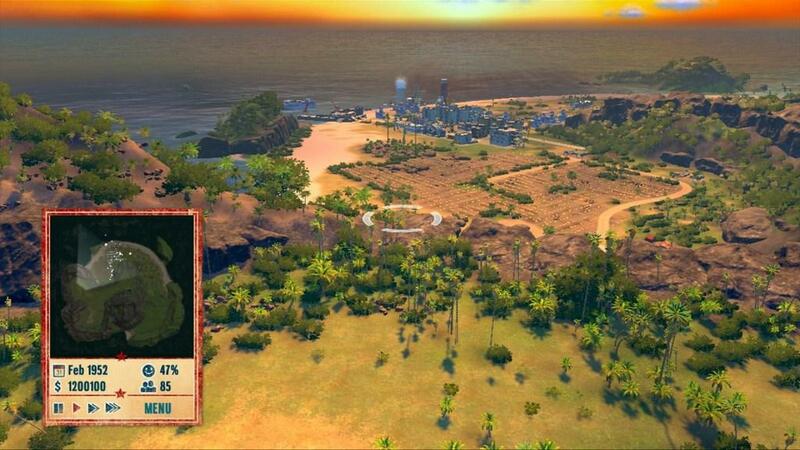 Difficulty in Tropico 4 tends to scale with population size (there is no separate difficulty setting). Smaller islands are easier to manage – there are fewer things that can go wrong. Scenarios which require a lot of development can tend to spiral out of control either way – when things are going well the money will flow right in and people will be ecstatic, while when things go badly you might as well restart the scenario. While it is easy enough to tell how things are going at any time, it can be difficult to see exactly why. For example, exports are not broken down by type, so it can be difficult to tell whether your coffee plantations are paying for themselves. This brings up a design decision that can cut both ways. There is generally a good amount of information available to the player – how happy people are, how the economy is doing, the political situation – all of this is presented in a clear, easy-to-grasp manner. The problem is that sometimes you are told what the problem is (it is easy to tell why a faction likes/hates you) and sometimes not (you will never know if there aren't enough teamsters to take logs to the furniture factory). The trade off between “easy-to-use” and “has enough detail” is generally made favoring “easy-to-use”, which different players will have different opinions on. The same philosophy informs production pipelines. It is rare to find a pipeline longer than two elements: raw material + factory = finished good for export. And it is never the case that production lines combine; for example, iron mine + bauxite mine + factory = machine tools. This keeps things easy to keep straight by lowering complexity. Again, your mileage may vary. 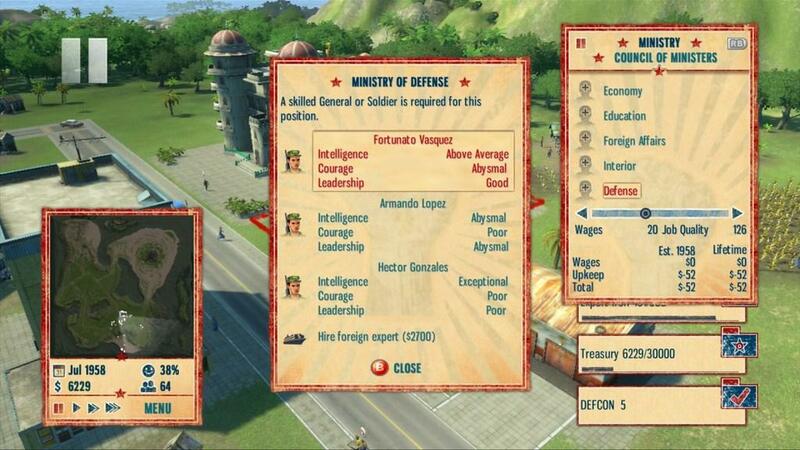 Tropico 4 is pretty much Tropico 3 with a few new gizmos (the Ministry, insta-build). It has the same strengths and the same problems. 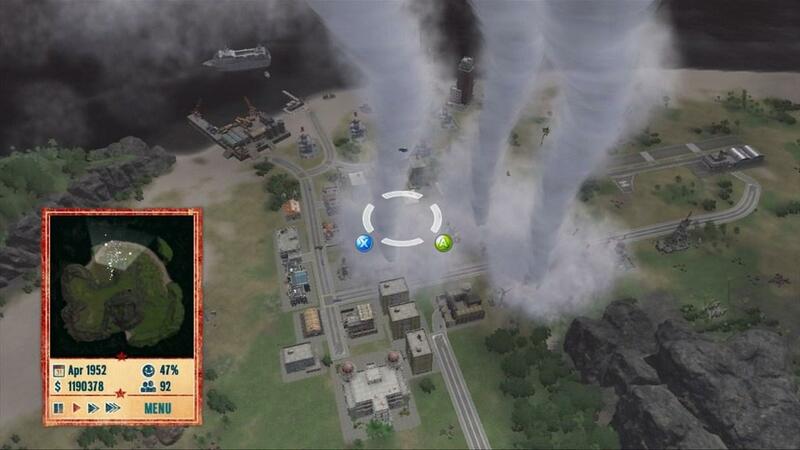 There is nothing wrong with this – Tropico 3 was a good game (just read my review for why) – and I can recommend this installation to gamers new to the genre and city-building fans looking for a light bit of gaming. Fans looking for the next great innovation in city-building games will be disappointed. 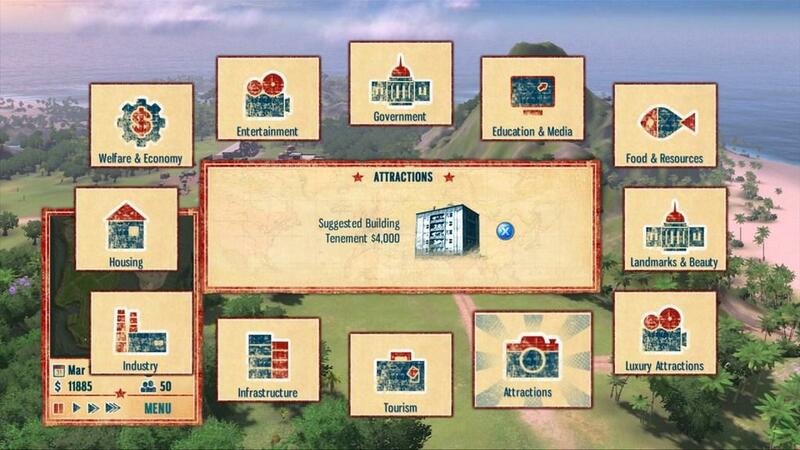 In summary this is a light, easy to play, engaging city-builder. 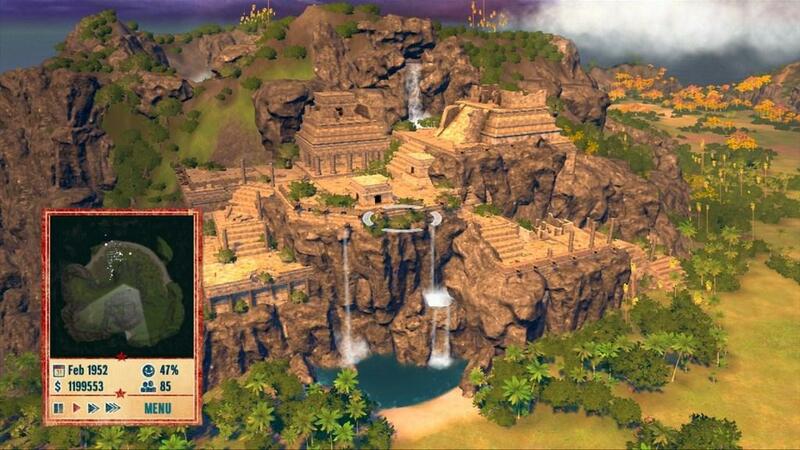 Fans of Tropico 3 will feel right at home, as will gamers who wouldn't ordinarily play a game in this genre. There are some good ideas in here that a more detailed treatment could bring out. A good-looking, accessible, charming city-builder. 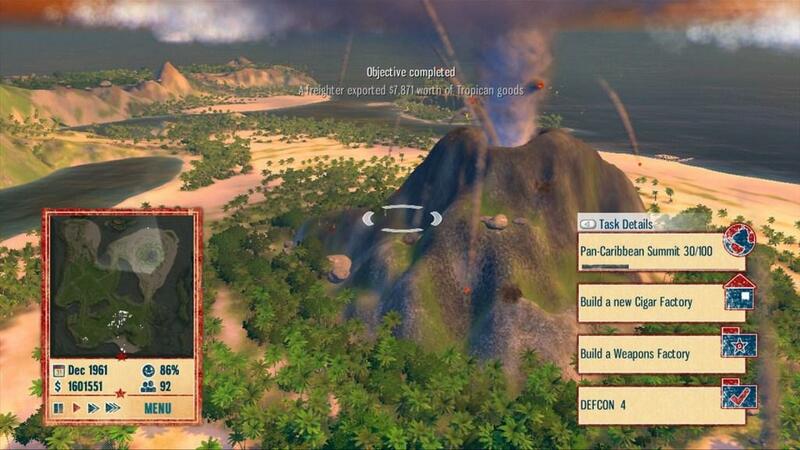 Not much new here from Tropico 3, but lots of potential for Tropico 5.